A quick mental health check for all teachers – How are you going? It is the end of the year, report time, exam time….. brains are frazzelled and our patience can be…. thinning. On top of the usual teaching duties (teaching, planning, meetings, counselling, extra curricular stuff, sport, playground duty, homework, parents, other staff, assessments, marking, marking, marking – am I close?) many of you would also be programming for the new Australian Curriculum. How is it going for you? Are you and your colleagues on top of things? If not, this may help….. If you were not able to attend – we have placed all the resources from the day and many that were suggested by participants in the resources section of our website – feel free to help yourself! There were many highlights from the workshop (held at the University of Western Sydney – Thanks to the UWS-RCE and Jen Dollin.) and I would like to indulge you with a few that stood out for me. Finding a way to talk and engage with your local Aboriginal community was an important point mentioned by teachers and presenters alike. This might be as simple as having a chat to parents after school or finding your local community centre or Elders. Talking to an Aboriginal Education Officer (NSW DEC Schools) if your school or district has one could be another place to start. 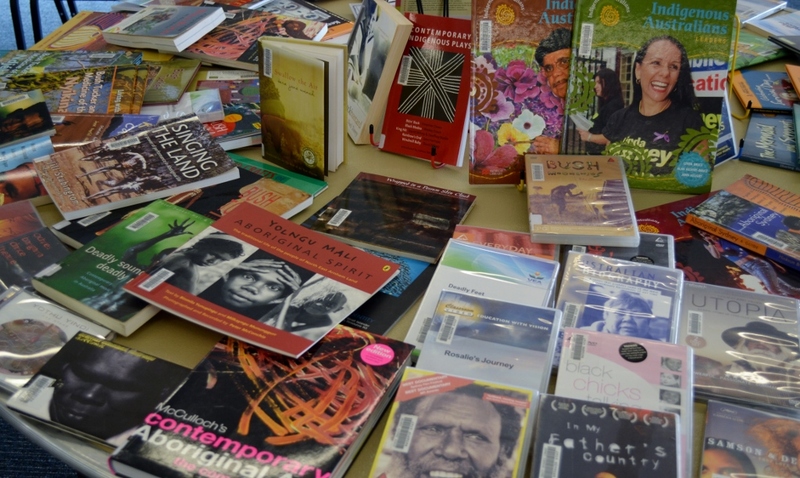 We have listed our Western Sydney Aboriginal educators (who would be happy to talk to you) on our website. 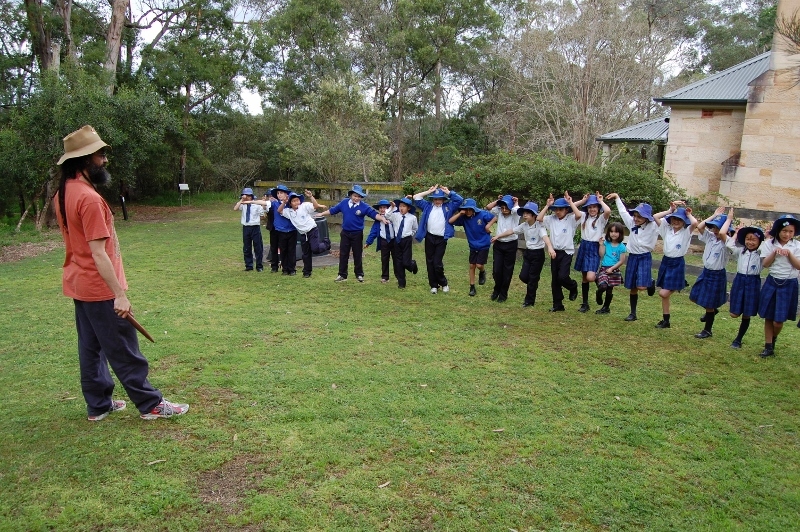 Brewongle EEC has a long history and association with the Darug people and our Aboriginal team help us to run a variety of camp and day programs here at Brewongle for your students. These could be a fantastic addition to your class teachings. We can design a program to suit your needs or you can utilise our existing programs. All of them involve hands on exploration and interactive learning for your students and often prove to be great professional development for staff as well. Discover the uses of artefacts and tools, follow our kangaroo tracks to discover the secrets of the bush plants, and enjoy some art and music! Your local EEC may also be able to help you if Brewongle is too far to travel. Another standout feature of the day for me was discovering the treasure trove of resources that is housed in the Henry Parkes Equity Resource Centre (internal intranet link – for NSW DEC schools only). 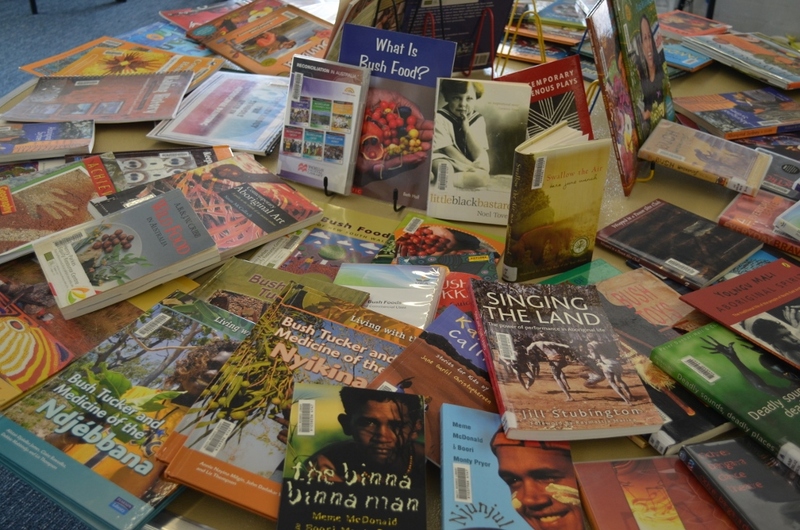 If you are not aware of this place (as I was not) then have a browse through the fantastic array of books, CD’s, Movies and other resources that can be borrowed online by anyone in NSW DEC schools. 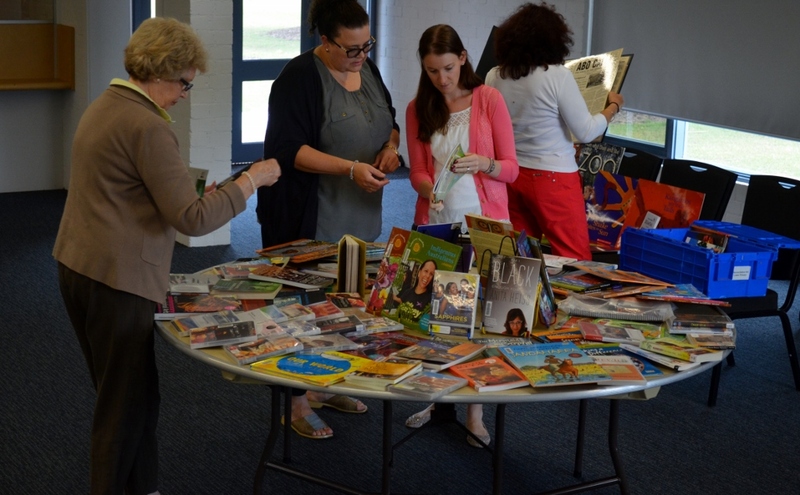 Their array of Aboriginal resources was amazing and many of them were snapped up by participating teachers on the day. Thanks to all the participating teachers for their feedback and suggestions – we are taking it all on board as we plan the next event. Enjoy the slide show below of the day. If NSW DEC teachers would like to comment on Yammer (the new DEC internal social media tool) please join the conversation in the Aboriginal Education group and provide feedback to your colleagues on the workshop. ← Keen and green? – join your local Environmental Educators Network!